This month, I am your guest author for MMO Co-Opportunities. The past few months, I’ve been playing World of Warcraft again, something I’ve not done for several years. Tally asked me to share my experiences for the column. While I’ve always enjoyed Blizzard’s definitive take on the MMO, this time around, I’ve enjoyed it even more, since I have had a co-op partner along with me the whole way: my twelve year old son. 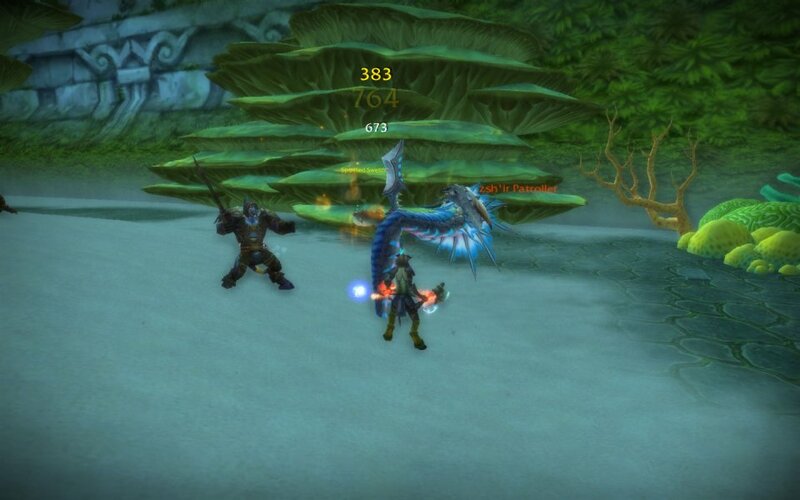 One of the reasons the two of us have enjoyed World of Warcraft so much this summer is the Recruit a Friend program. Turns out, the program is a great thing for family members, too. There are some very attractive benefits to Recruit a Friend, both in and out of game. Getting started with the program was easy; I reactivated my account, and used my Battle.net account management page to sent an invitation to the program. Creating a Starter Edition account for my son was easy using the link provided in this email invitation. A second account like this can be added to a previously existing account, which makes the whole process of management very smooth. Starter Edition World of Warcraft accounts can play up to level 20 for free. During this time, they have some other limits, too, most notably not being able to trade items or whisper other players. Knowing that level 20 wouldn’t last very long, we upgraded my son’s account to a full one at the first opportunity. Blizzard is very good at getting you addicted to the game, and one instance of this was the oft-appearing notification to upgrade to a full account for a mere $5. As my son neared level 20, after only a few hours in game time, we upgraded, and then, the full benefits of the Recruit a Friend program kicked in. The greatest of the Recruit a Friend benefits is the increased experience gain rate. When the veteran (referrer) and the recruit (referee) have characters that are grouped together, both characters receive three times the normal amount of experience for both killing monsters and questing. At this rate, the levels just fly by. My son and I were making two or three levels per sitting, sometimes in as little as an hour. We could afford to be picky about which quests to take, and we rarely followed a complete chain to completion before it greyed out on us. 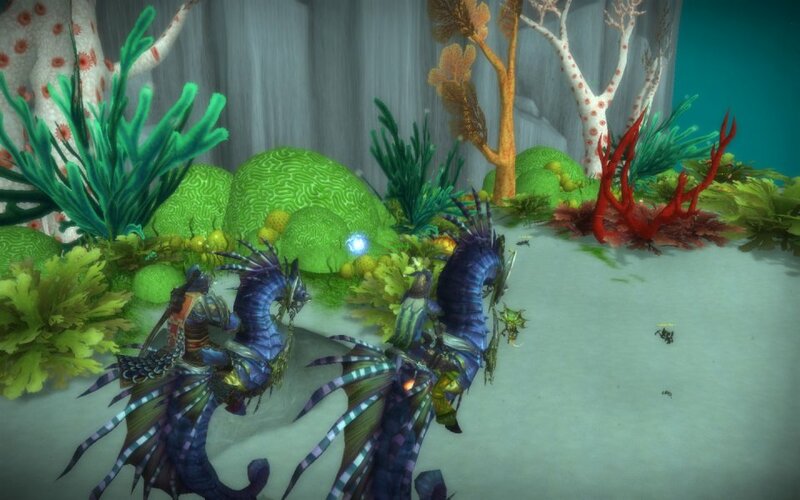 The best way to level for us was to find a zone intended for characters two levels higher, adventure until all quests turned green, and then move on. Levelling up truly didn’t feel like a grind at all, it was more of a whirlwind tour than a slow, plodding journey. There are a few stipulations for the triple experience rate gain. First of all, both the veteran and the recruit must be using characters within four levels of each other. You have to be in the same physical location in the world, as well. The range is generous enough, though, that you never feel tethered to one another. Just don’t expect to group from across Azeroth and enjoy the accelerated rate. Lastly, once you reach level 80, the triple experience bonus ceases. You’ll have to gain those last ten levels at the normal pace. Page created in 0.6698 seconds.